Natives with a rising sign in Sagittarius are very active people who want to know the world. This does not necessarily translate into a desire to travel, but rather the ability to intensely enjoy all the pleasures a trip has to offer. In their relationships, they show themselves to be born conquerors with a great capacity for words. Their vast knowledge of the most varied subjects, the fruit of their great curiosity for the mysteries of the world, makes them very agreeable people. They are very likeable people and when they are passionate, they use all their power of seduction to attract the partner. Nevertheless, they may not be the most faithful companions in the world, because their taste for challenges can make them lose interest in a relationship that does not inspire them at all. Their professional life is guided by the same parameters as the staff and they are always looking for professions that allow them to explore their appreciation of freedom. The rising sign in Sagittarius is pure energy and its influence on the other signs is certain. Thus, most often when it takes precedence over your solar sign, you are endowed with all the qualities that we recognize in Sagittarius. In association with signs of fire (Aries, Leo, Sagittarius), this ascendant invites to the conquest, the surpassing of oneself or situations, to the discovery but also to the journeys, to the escape. 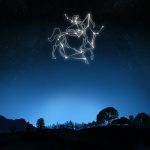 Mixed with signs of Earth (Taurus, Virgo, Capricorn), it makes it possible to exceed its timidity, to better apprehend the daily life, to be more spontaneous, more courageous, more voluntary but also more alive. In combination with Air signs (Gemini, Libra, Aquarius), it makes you more communicative, faster, more lively, and more dynamic. It encourages to move, to multiply the projects and the adventures. Coupled with a sign of Water (Cancer, Scorpio or Pisces), it is our personal and spiritual universe which is increased tenfold. Thus, it invites to escape, to listen, to understand others. It’s a bit of the image of dedication. What does your Sagittarian ascendancy bring on a daily basis? If you’re a rising sign in Sagittarius, you’ll want to jostle your habits regularly. You will aspire to discovery, you will thirst for knowledge and you will constantly seek to expand your horizons. You also have a good intuition and optimism for all tests. Sign of freedom, you will be thirsty for independence and the more you will advance in your life the more you will aspire to free yourself from certain constraints. When it comes to heart matters, it is pushing you for many adventures or an adventure that often resembles a real epic. Your existence will often be marked by a need for escape, freedom. Thus, you will be led to travel in many ways (intellectual, spiritual or physical). The signs being under the influence of this ascendant have no choice but to find their way and this is done at the end of a long journey inside. Likewise, the relationship to others is a key element of fulfillment.